Surprisingly, there are more than a 100 hot spring locations in Taiwan where visitors can experience a relaxing bath. Even better, hot springs in Taiwan are not limited to the hot and sulfur-rich type but can vary from hot or cold, seawater or freshwater and alkali-based or sulfur-based. Such hot springs facilities can also range from simple pools found near mountains or elegant resort hotels found close to the city. Hot springs in Yilan are plenty in number but the Jiaosi Hot Springs, the Su-ao Cold Springs and the Renze Hot Springs are three of the most popular ones. Jiaosi Hot Springs – The Jiaosi Town in Yilan County is truly famous for its hot spring bathing. In fact, many of the businesses in Jiaosi cater to the large number of visitors that are in Jiaosi for its hot springs. The town really lives off its natural resources. Visitors can choose from a wide range of hot spring hotels with modern facilities and excellent services. One of which is the Sun Spring Resort. Since the fertile Yilan Plains have made the county into a chief agricultural center, sampling the local produce is but one of the many highlights to do when visiting Jiaosi. Truth is, some of the local produce is even cultivated using hot spring water, which is claimed to make vegetables tastier and even more nutritious than they already are. Su-ao Cold Springs – Imagine naturally carbonated spring water at a temperature of 22 degrees Celsius. This is what the Su-ao Cold Spring exactly provides. The Su-ao Cold Springs is one of the two mineral cold springs in the world. The other cold spring is found in Italy. Those that find hot springs too hot to the touch will find the bubbly carbonated water of Su-ao very refreshing. But while hot spring bathing is a great way to warm your body during the colder seasons, the cold spring facilities of Su-ao are great choice when traveling in Taiwan during the hot summer weather. Renze Hot Springs – At an altitude of about 500 meters, Renze is part of the Taipingshan Forest Recreational Area of the Yilan County. The Renze Hot Springs was developed by the Japanese during their occupation in Taiwan. The calcium carbonate water at Renze is relatively hot to the touch, especially when coming from near the source. Even though the water is constantly at 95 degrees Celsius, it stays completely odorless. Although visitors are expected to hike up one of the premier forest areas in Taiwan, the forest is but a great place to enjoy the quiet great outdoors and inhale the fresh forest air. 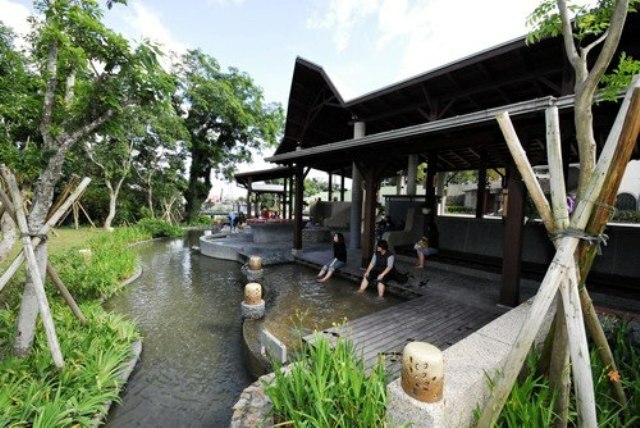 Aside from experiencing a refreshing and relaxing dip, bathing in any of the hot springs in Yilan will provide smoother and softer skin for those who experience it. Hot springs have carbonate and sulfur rich water, which is proven to help people achieve flawless skin. No wonder many locals seem to be visiting the hot springs on a regular basis. Although, visitors might have a hard time noticing the benefits of hot spring water with one try, the experience of a hot or cold spring bath is already a reward in itself.